Click/Tap the link to directly jump to the section. The Institute of Chartered Accountants of India (ICAI) has declared the much-awaited CA IPCC result CA Intermediate Result for Nov 2018 exam at around 4.50 pm, ICAI organized the examination for CA IPCC/CA intermediate in the month of November. In its latest notification dated:31st Jan 2019 ICAI announced that the CA IPCC/CA intermediate result will be declared on 8th February 2019 along with the all India merit list up to rank 50. 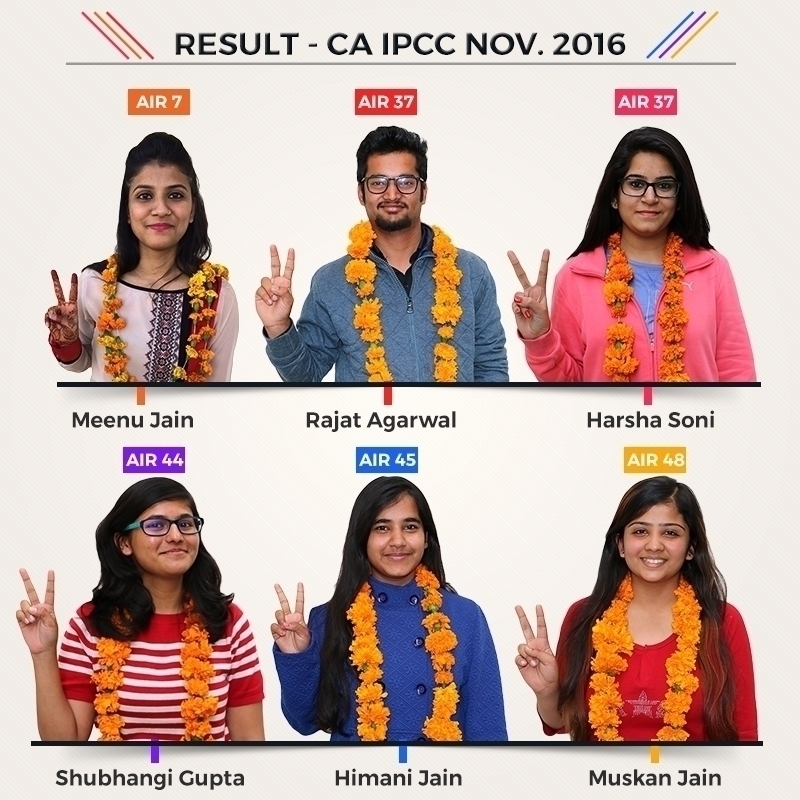 You can check the CA IPCC / Intermediate Result 2018 checking procedure from here. Seeing a regular increase in demand for Chartered Accountants it is expected that the result will be increased from the last attempt. Students who scored 40% marks in individual subjects and 50% marks in aggregate cleared this exam but students who are not satisfied with their result can go for either Verification of Marks or Inspection of Certified Copies. Read below everything in details. The result will get announced on the ICAI official website but students can check their result from this page also. Here we have provided not only the link to ICAI official website but also mentioned the stepwise procedure to download your result. The result will get announced on the ICAI official website i.e. icaiexam.icai.org. Candidates can also download their result from the link given below which will directly land them on the ICAI official page. ICAI has also made the arrangements in which candidates can check their result on their Email address. To check your result on your Email Id, you need to register first with the ICAI official site from 4th February 2019. Click on the below-given link to directly land on the ICAI Official page from where you can download your CA Intermediate Result. Here you enter your “Roll No.” and “Registration No.” or “PIN” which you have submitted while submitting your Exam Application form. System will generate your result page and here you can take the print out for future use. ICAI has facilitated CA students to check their result on their Phone through SMS or Email to avoid the last minute inconvenience on the result page. CAIPCOLD(space)XXXXXX (Here XXXXXX refers to your six digit roll number). For ex - CAIPCOLD 058985. The result along with the merit list comprises of candidates securing a minimum of 55% and above marks and up to the maximum of 50th Rank on all India basis. Statement of Marks will be sent to the students through the post soon after the declaration of IPCC May 2019 result. However, in case the student do not receive the same within 4-5 weeks from the date of declaration of IPCC Nov 2018 results, you may write to dms_examhelpline@icai.in. If a student clear IPCC May 2019 exams in one attempt with 70% total for all papers will find the statement of marks mentioning that the student cleared the exam with distinction. A pass certificate will be issued to the students who clear both the groups of IPCC May 2019 Examination either together or group wise within 60 days of the date of declaration of the result. However, in case the students do not receive the same for any reason within 8 weeks from the date of declaration of the IPCC Nov 2018 result then the students may write to dms_examhelpline@icai.in. 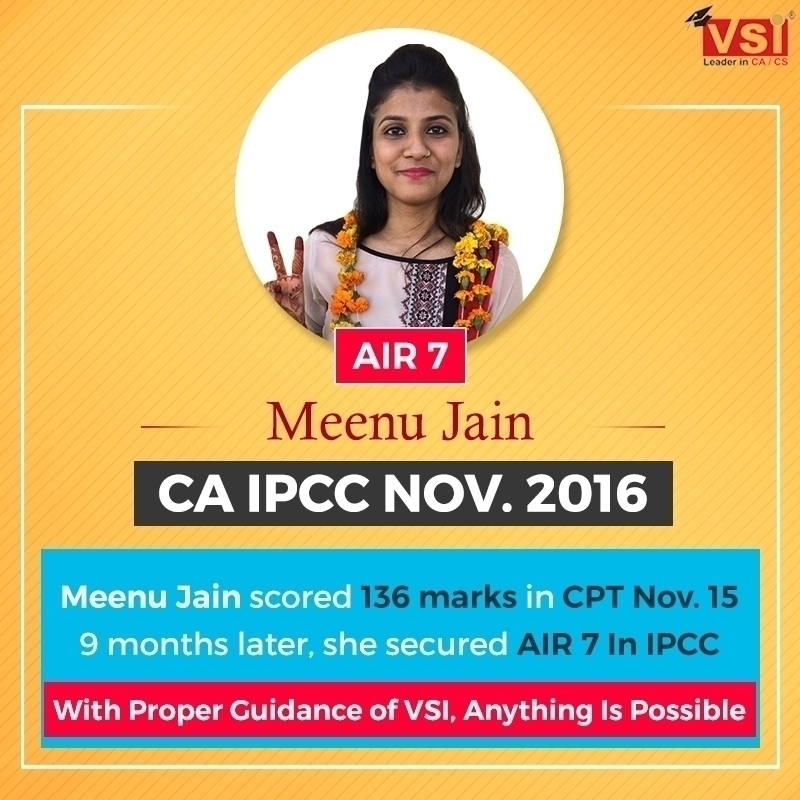 A student who passes group 1, as well as group 2 exams of IPCC May 2019, will be qualified for CA Final. After clearing IPCC, Institute of Chartered Accountants of India will issue pass certificate to all the passed students that will reach you on your registered address within 2 months of result announcement. 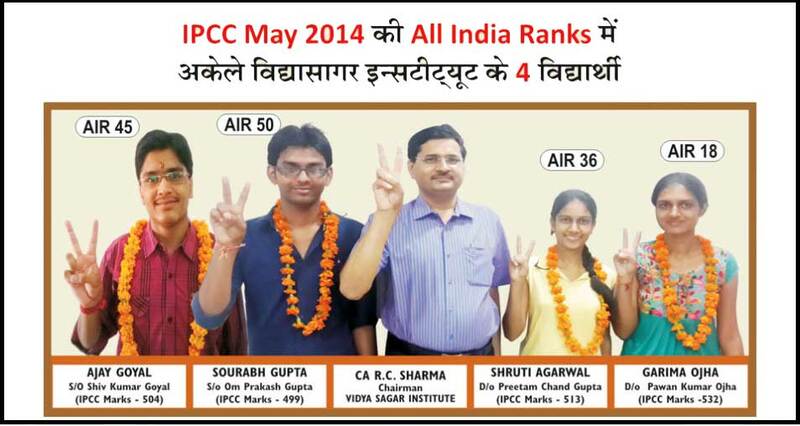 If you clear the May 2019 IPCC exam in one sitting with minimum 55% aggregate marks and you obtain any of the 50 All India Ranks then you will receive a rank certificate from ICAI by post. However, Top 3 holders will receive their rank certificate from ICAI President during ICAI annual day function in February. The students who are not satisfied with their result can apply for the Inspection of evaluated answer sheets online only, physical application is not acceptable. Those who have applied for the Inspection need not apply for the verification as before dispatching your certified answer sheets, verification is carried out by examinees suo moto. Land on the ICAI official site www.icaiexam.icai.org. There you have to log in to your account through your user id and password. There you will have to fill the requisite information including selection of certified copies for inspection. If any discrepancy arises between the papers mentioned in the scanned image and those mentioned in the form, a latter will prevail. You can make the corrections in the application before making the payment. The payment can be made through Net Banking, Credit card, Debit card (Master/ Visa/ Maestro/ Rupay). 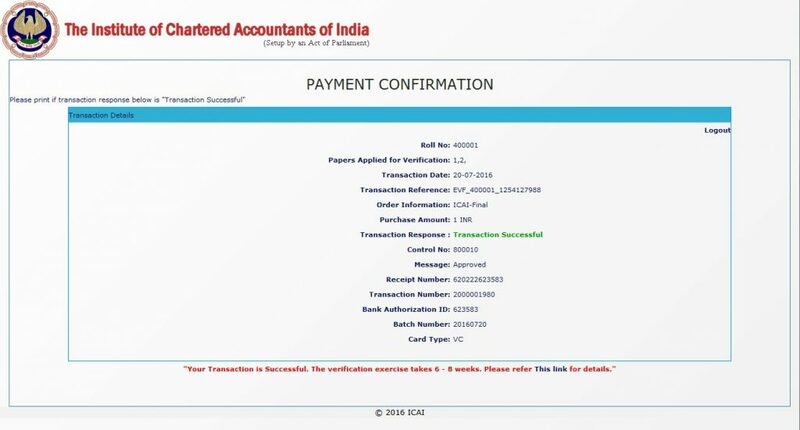 After the successful payment, a confirmation page will appear on your screen showing your details you have mentioned in the form. But remember that your application will get successfully submitted only Control Number is correctly appearing which is not zero or null. You are advised to keep a print out of this confirmation page which will work as acknowledgment. Institute endeavours to provide you the certified copies within 30 days from the receipt of application at ICAI which must be completed in all respect. Candidates have to make a payment of Rs 500/- per copy for the number of copies applied for inspection. Fees will not be refunded in any situation. In some circumstances, students are not satisfied with the evaluation of their answer sheet or the marks awarded but still, they cannot apply for the revaluation as it is not permitted under the CA Regulations 1988. Revaluation of IPCC May 2019 Answer Book is not permitted under the Chartered Accountants Regulations, 1988. So if students are unsatisfied with IPCC May 2019 result, they can go for verification of marks. Once the result will be published you will have one month of time in hand to apply for verification of marks, according to ICAI guidelines. ICAI open their verification portal where students can apply for verification of marks. Students have one month to apply for verification of their answer sheet. In case there is change in your result after verification the fee will be refunded by ICAI. Applications after the final date will be rejected. follow the steps while applying for verification. The verification process for IPCC May 2019 is completely online. Log in to your student dashboard using your UserID and Password. From the dashboard find the link to Apply for Verification of answer books. Upload a scanned copy of your handwritten verification request. At last sign the application form. Now open ICAI official website. You will find the link there. You need to select subjects for verification while applying through the online portal. The subject you will select will be considered for verification, not the subjects you mentioned in your application form. The payment will be made online through Master/Visa/Maestro Credit/Debit Card. After successful payment, you will see the screen shown below. Take a print out of it to keep a record. In a case of money deducted and failed transaction, your amount will be back in your account within 45 days after the closing of the window. The application will take around 1-2 months for processing. You will be revert back by ICAI about your request. You can also check status of your request online on ICAI official exam website. Once a candidate application for verification of marks is received by the institute, It usually takes 6-8 weeks for Verification result to come. Students can quickly check their May 2019 verification result online on http://icaiexam.icai.org. In case of any changes in marks after verification, ICAI will send a revised statement of marks on the registered address. However, There will be no communication from the Institute if the marks remain unchanged after the verification result. In this case, the student has to see it online. The result of the Chartered Accountants Intermediate (Integrated Professional Competence) Examination held in May 2019 will release on above-mentioned date. You can also access your result from here on the day. A student should keep in mind that to see their IPCC result on the above-given website they shall have to enter their registration number or PIN number and Roll Number. 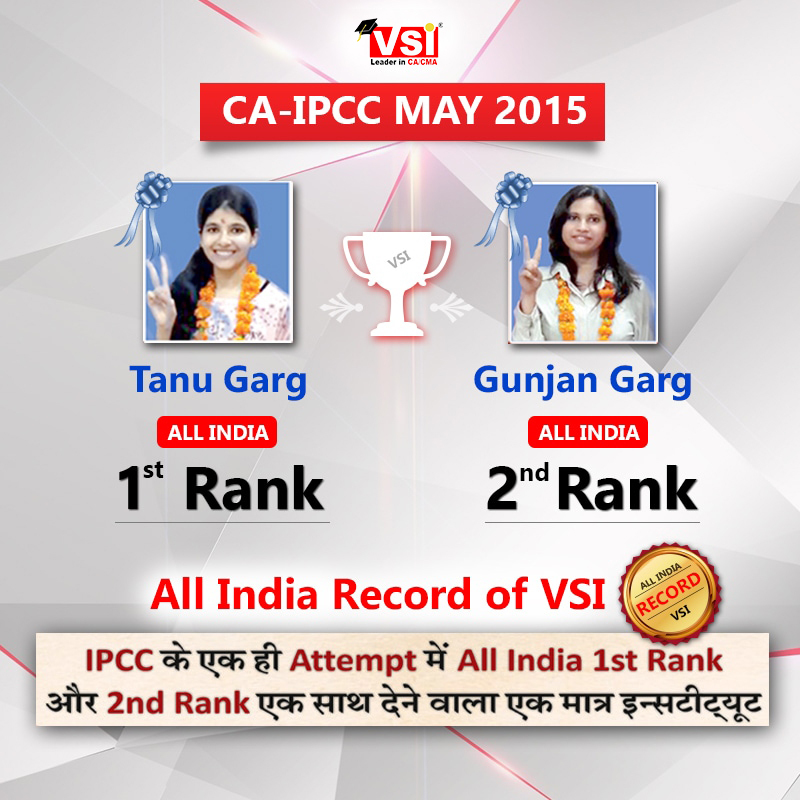 Follow these steps to see your IPCC result very easily without any hassle. You can visit the examination website under the result section you will find your result link. 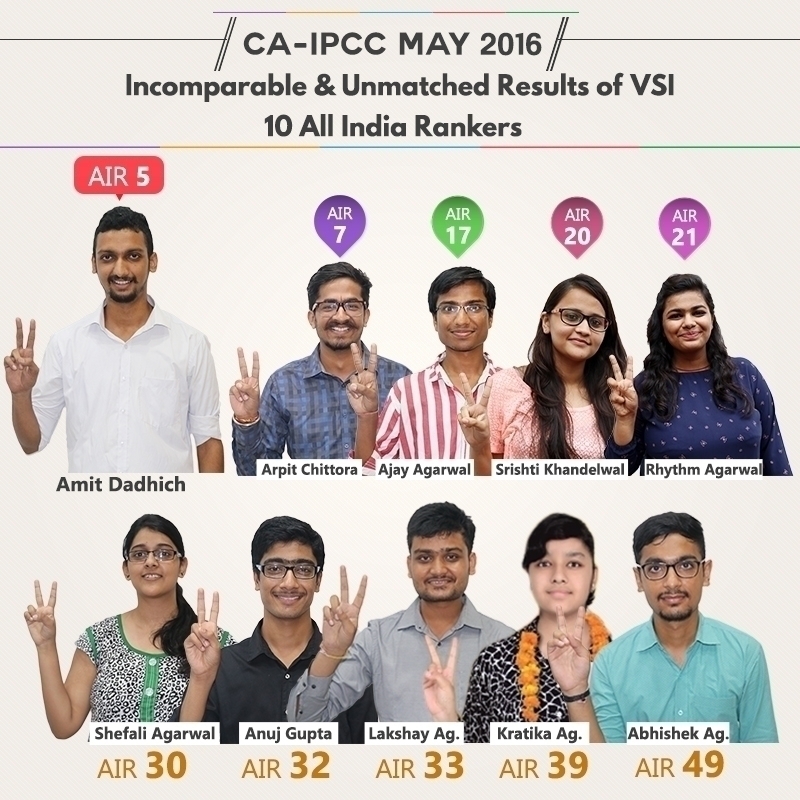 That link will land you on CA IPCC result for May 2019 attempt. Enter Your CA registration number or your roll number and PIN number. Download your IPCC May 2019 mark sheet within 7 days from the deceleration of the result. During IPCC Nov 2017 attempt at the time of result announcement, students faced severe server errors. Many students complained about it and as a result to reduce last moment students rush on the website, offline result services are launched by ICAI for students. students can access their IPCC Nov 2017 Result through SMS or E-mail. To get the result through e-mail student need to register themselves on the ICAI main website. Then Your result will be provided by ICAI on your registered email address. The registration process to get the result through SMS is given in below section. and register yourself for Email service. ICAI avail the email registration link on their website around 5 days prior to result date. 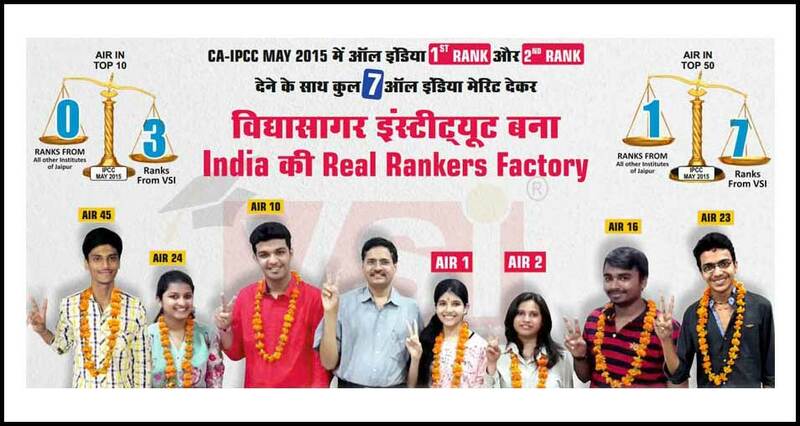 Soon after declaring the result for IPCC Nov attempt, ICAI will release CA IPCC center-wise or region wise result. The link given below will be active once the organization will officially release the region-wise result out. 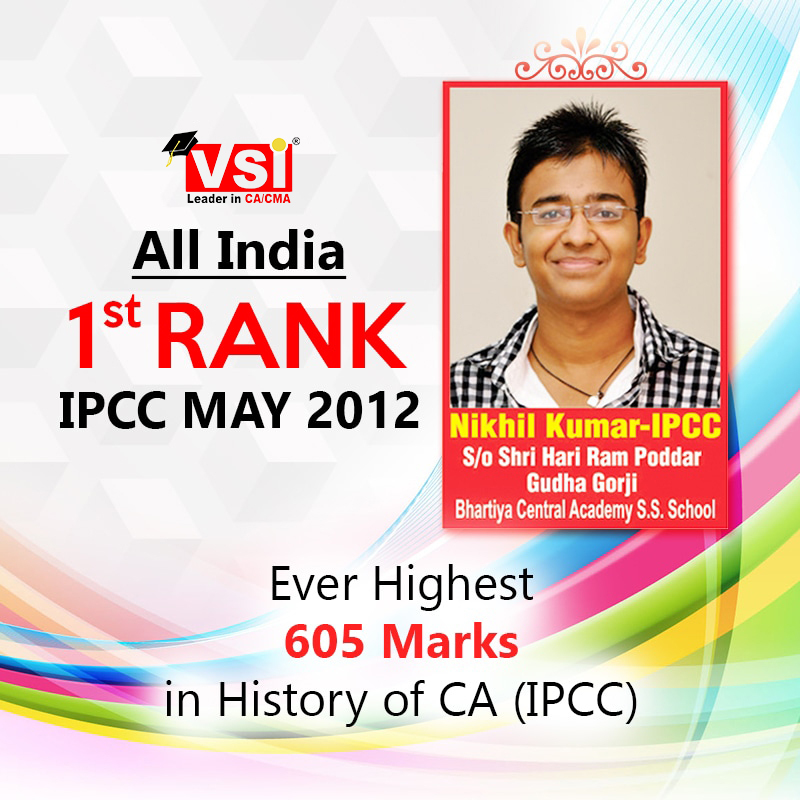 Take a look at the last 10 attempts of CA IPCC Result pass percentage. You can conclude that there is a gradual decrease in CA IPCC pass percentages.